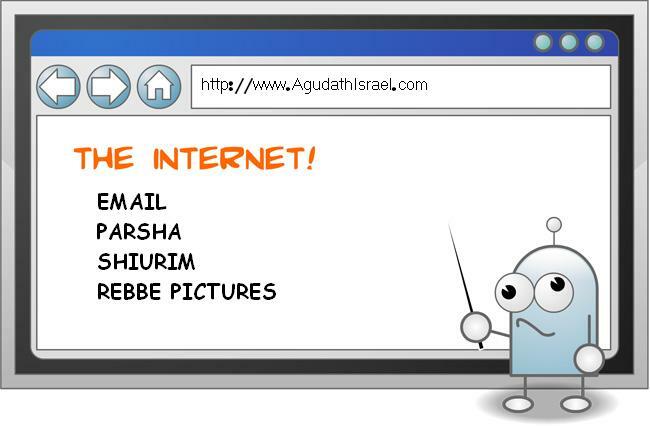 I may be mistaken but my impression is that the official policy of Agudath Israel of America is not to have any web presence. This is, I believe, in order to avoid the appearance of legitimating usage of the internet or looking hypocritical by telling others not to go on the internet but still maintaining a presence there. This is a principled stand that demonstrates how strong they consider the well-known dangers of the internet. We can see this by considering how important the internet would otherwise have been to the organization and how maintaining a web presence is, absent the dangers, a fulfillment of one of the organization's mandates. If not for their principled stand, they would have created early a website, blog, Facebook page and Twitter account. We must ask ourselves how many neshomos [souls] have we lost because we have refused to use more effectively the weapons that have been used against us. Just as in modern war, rifles are not an adequate defense against aircraft, so too must we arm ourselves with the same weapons used by the enemy. [...Haredim believe that to] communicate this putatively pure and disinterested knowledge [Da'as Torah], Haredi intellectuals must avail themselves of the existing terms of social address. To have influence, their words must be able to forge sustainable bonds with diffusely located students, followers, interested lay audiences, and even intellectual and religious competitors. This constraint is symptomatic of the structure and character of all modern fields of politics and culture, where the industried, technologies, and symbolic economies of mediated communication delineate the horizons of action in which "the masses" are made to appear. The very possibility of having influence is tied to the performative principles of becoming visible and of reaching out to others and winning their assent within a cacophonous arena of competing voices and images within generalized conditions of spectacle, distraction, and of readily dissolving attentions. This is the public culture within which Haredi scholars and intellectual producers must labor to attract and retain a following and to legitimate their intellectual, religious, and cultural authority. The strategic importance of being able to control the resources of mediated communication has been acknowledged within Haredi circles for some time. As succinctly stated by one contributor to an early edition of the Jewish Observer (the English-language journal of Agudath Israel of America), "The ability... to master the new media has become the key to success -- or failure -- to win the allegiance of the masses.... Jewish leadership is in the hands of those who can best make use of the new techniques of communication." The mastery to which this author refers depends, in the first instance, on the success of Haredi Jews to redefine the terms by which they have been represented in the larger public sphere. Through polemical modes of address, Haredim seek to rescue Orthodoxy from the obloquoy heaped upon it by its detractors.